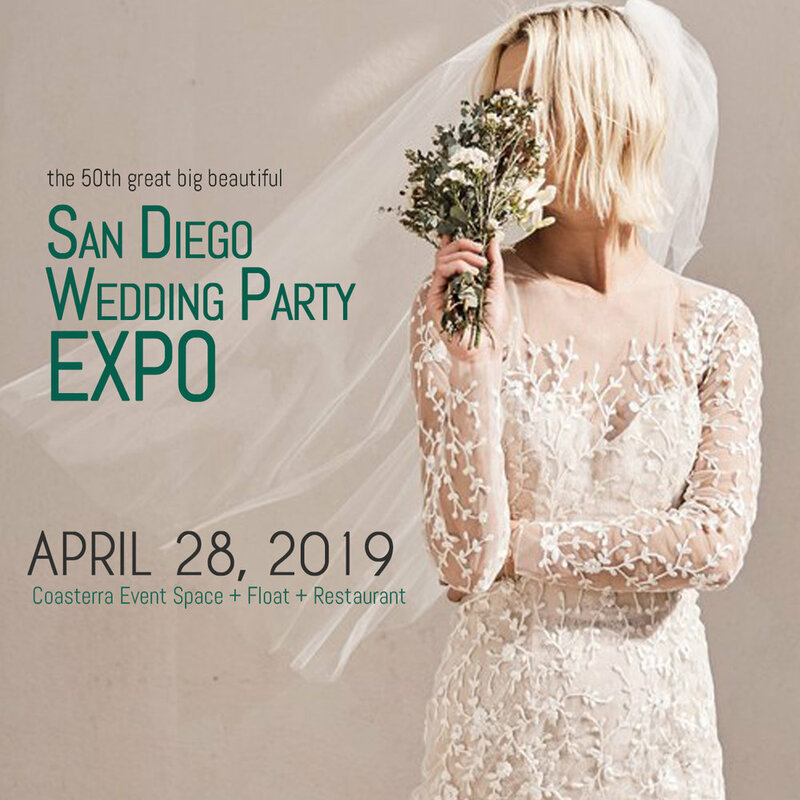 Thank you to San Diego engaged couples and to our Exhibitors for a lovely show! 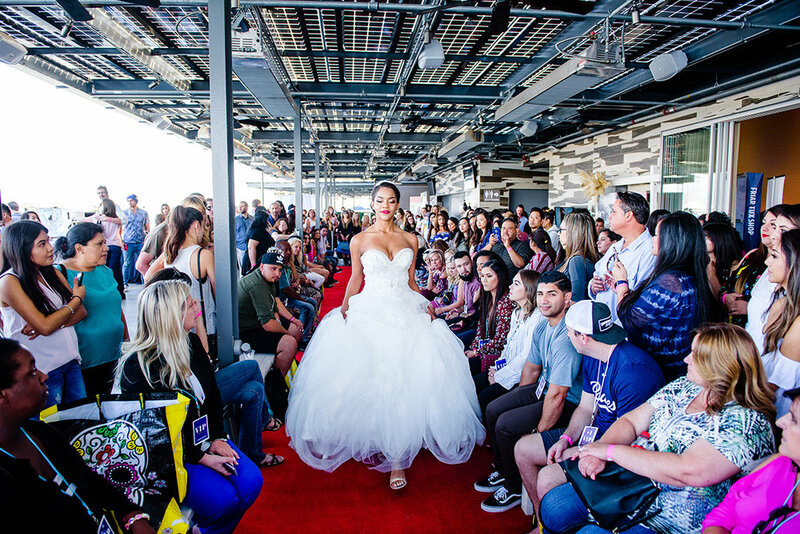 Thanks to everyone at Sunday's show for helping us make the 44th Wedding Party EXPO so special! the big finale to our red carpet fashion show! 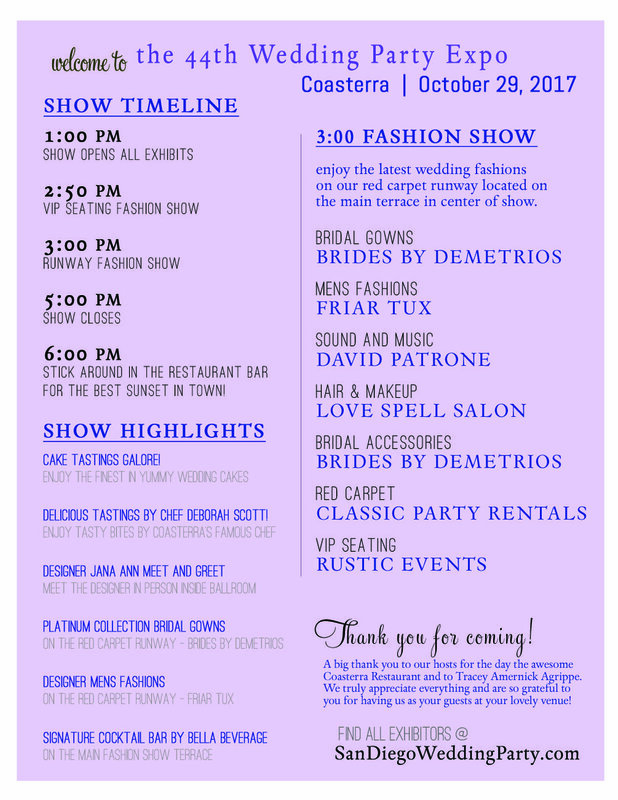 A big thank you to Coasterra, Event a Vision, Classic Party Rentals and Rustic Events!! Save the date for the big Winter show February 25, 2018 at The US GRANT HOTEL! See you there!